We have been using SCS connection software since 2013 and have found major advantages in it’s flexible approach to seek out an efficient connection design solution. A key benefit alongside the complete range of international code checks which the software can deliver is the smart appreciation of each steelwork codes approach. 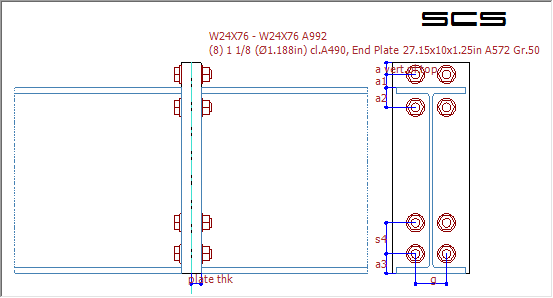 We continue to use the software as a key tool in our extensive connection design process. I am very satisfied with SCS, it helped me a lot and saved time last year. SCS is a great and unique software for connection design. Increase your productivity and design reliable and economic joints that will make save $ in fabrication while giving you insight of design issues. 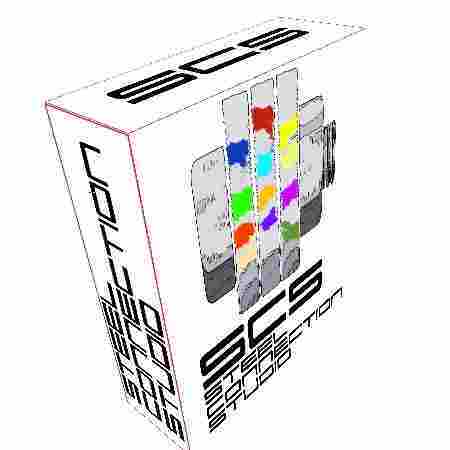 Download SCS - Steel Connection Studio today and check out by yourself how helpful it can be. SCS allows engineers to quickly design many kinds of joints and the slide show above shows some examples. The Software is easy to learn because the 2d sketch shows 'live' the data you input. As it happens in daily engineering activity, you can set a full range of forces and not only one kind (say, only shear or only axial), depending on modules. Calculations are automatically computed according to 'traditional' engineering methods, that is following instructions by manuals, standards and books (in other words, no finite element analysis results). Detailed results with formulas are displayed. The options given by the Software (stiffeners, methods, eccentricity of components that can be overwritten) are there to explore and to meet your (customers') fabrication facility needs. Integration with other software? Yes, you can graphically import loads from Sap2000 and Staad and you can import-export with Tekla Structures in some modules (quickly expanding). Check also the API page if your company has programmers that can develop customized macros. Ready to download the demo and try it out yourself? If you are looking for the 'click one button' type of Software, this is not the right page. SCS doesn't bypass the engineer but, just the opposite, it's a tool that needs the Engineer and maximizes her/his passion and work in the search of the most effective design/fabrication solution. There is now available software to solve connections with finite element approach. This kind of software is an interesting tool to have an idea (clear results are not available yet) of stresses in complex connections that programs like SCS cannot take care of. However, the SPEED and EFFICIENCY that a tool like SCS guarantees for the 'standard' connections that make a project (at least an 80% on average) are really unmatched and unparallaled. Finite Element software for connections is nice and fancy but if the real return on investment is considered, SCS advantage is clearly visible.